Adam Lambert – Bloopers from VH1 Divas! 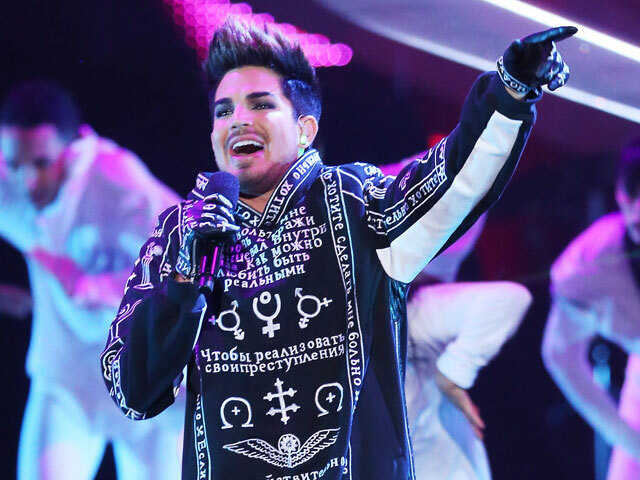 You are here: Home / Adam in the Media / Adam Lambert – Bloopers from VH1 Divas! Did you know there was a blooper reel from Adam Lambert’s hosting gig on VH1 Divas 2012? I didn’t! I was secretly hoping that the whole performance of Madonna’s Ray of Light was a blooper, and we’d get the on-key version, but then I remembered I was in the audience and it really happened the way everyone saw it. 🙁 Caution: the videos were a little slow reacting for me, but after a few seconds they both started. Was this really a blooper??? Did you recognize Adam’s brother Neil on the piano in the first scene? And good friend Raja was in a scene with Adam and Nene Leakes, but I think it stayed on the cutting room floor. Okay, that was cute. I don’t remember seeing that before either! Loved this. Thanks Carol. So much going on, all these websites to vote for Adam on IDOL. Can’t wait for this to be over.